If you have any plans to buy LED lights for your house then this article is helpful for you. As we all know when it comes to deciding which kind of LED light to purchase it may somewhat challenging because there is such a wide range of varieties are available in the market. So it’s a good idea if you spend some time learning more about what’s available. The perfect place of course to do this kind of research will be on-line. Buying LED bulbs is NOT like buying regular light bulbs. Before you spend the money to buy LED bulbs, learn what to look out for so you buy the bulb that meets your needs. 1. What is the CRI (Color Rendering Index) of the LED light? Color Rendering Index is the ability of a light source to reproduce the colors of the object it is illuminating faithfully in comparison with a natural light source. 2. Do the LED Lights Produce Consistent Color? Another difference between high quality LED lighting and low quality LED lighting is the consistency of the color temperature across multiple products. 3. Direction of Light: Will the LED Light Shine Light Where I Need It? Unlike an incandescent lamp, which has a filament that emits light in 360°, an LED is a small semiconductor chip, which by nature only emits light in one direction. 4. Does it have an Effective Thermal Management System? 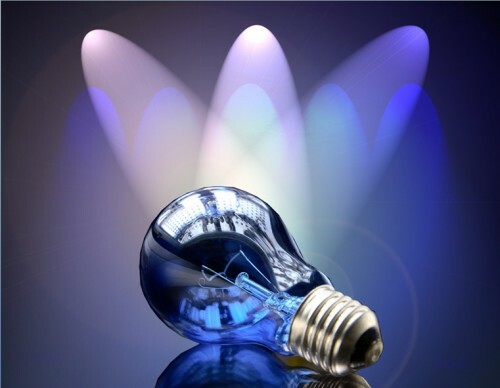 Many LED manufacturers boast of their LED lamp life being 50,000 hours or more. While LEDs have the potential of lasting this long, this is only true if the led fixture is designed to effectively pull the heat away from the led. 5. Can the LED Light be Dimmed? Not all LED lights can be dimmed. Be sure to ask this question before being your LED light. Also Christmas season is coming closer. So for the Christmas season, the perfect lighting is a must, so it will bring the Christmas spirit to house. You can always shop online at a good LED shops to buy great and useful products. I suggest you to head over to lichtprofi.de to get more deal and information about LED lights. Tips and Tricks for Sony Ericsson phones! Google Pagerank Update for April 2009!